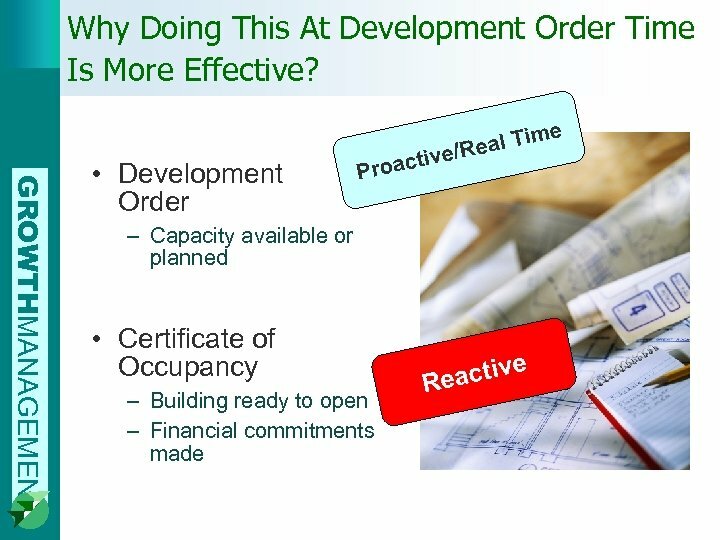 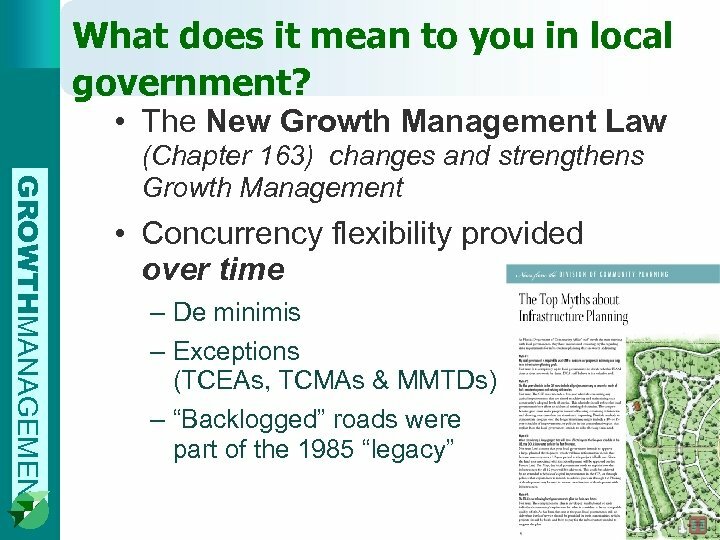 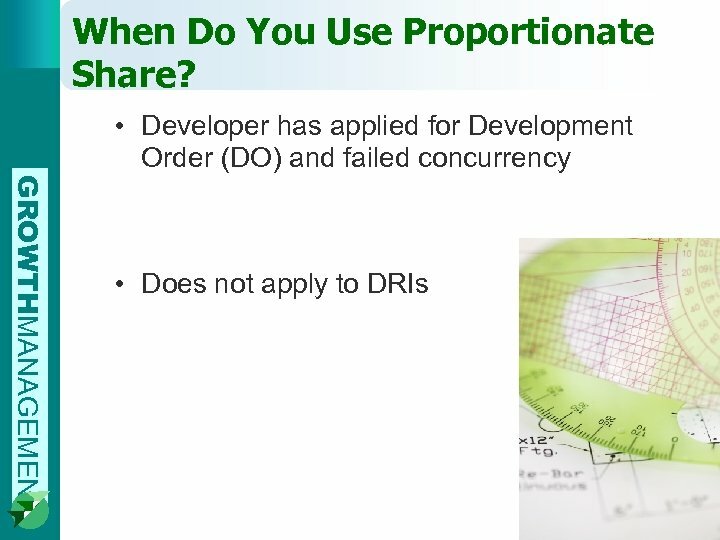 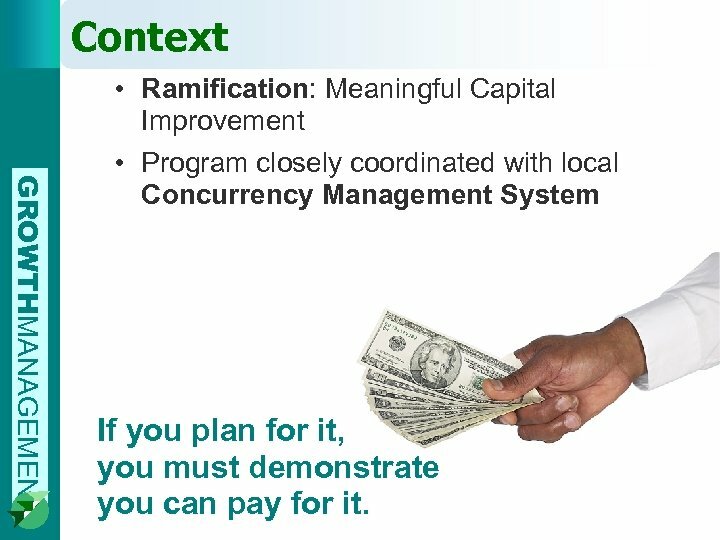 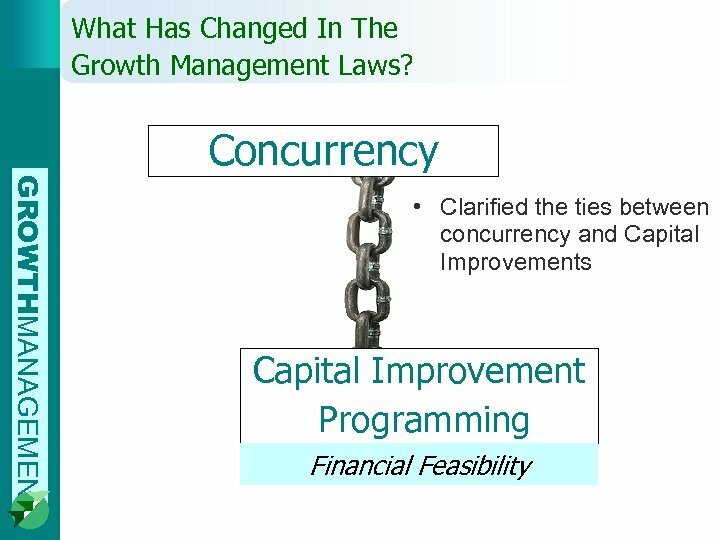 Context GROWTHMANAGEMENT • Ramification: Meaningful Capital Improvement • Program closely coordinated with local Concurrency Management System If you plan for it, you must demonstrate you can pay for it. 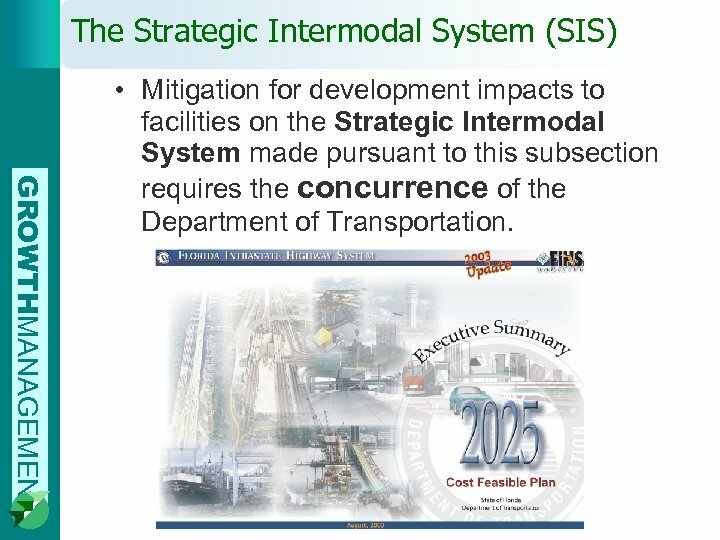 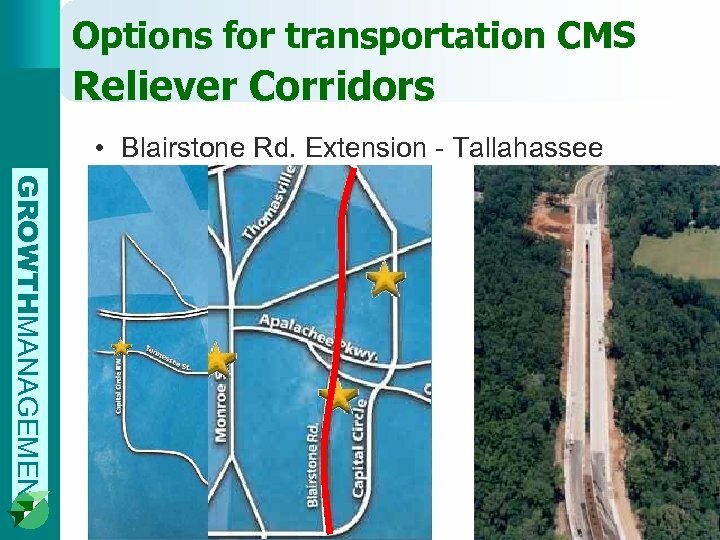 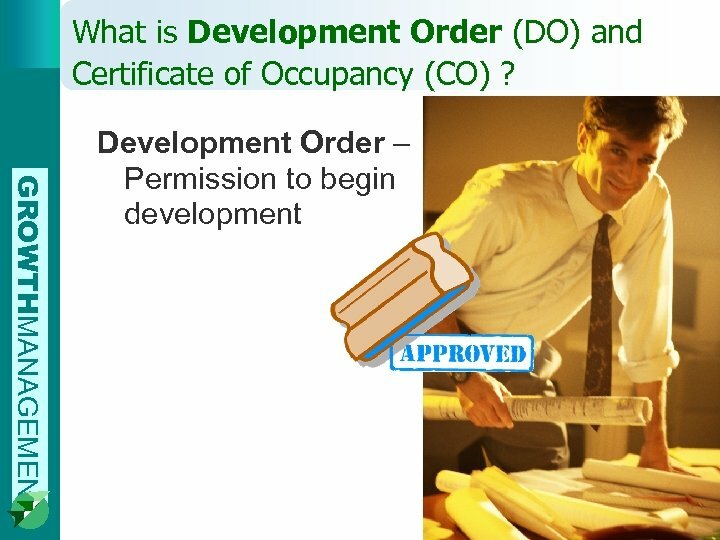 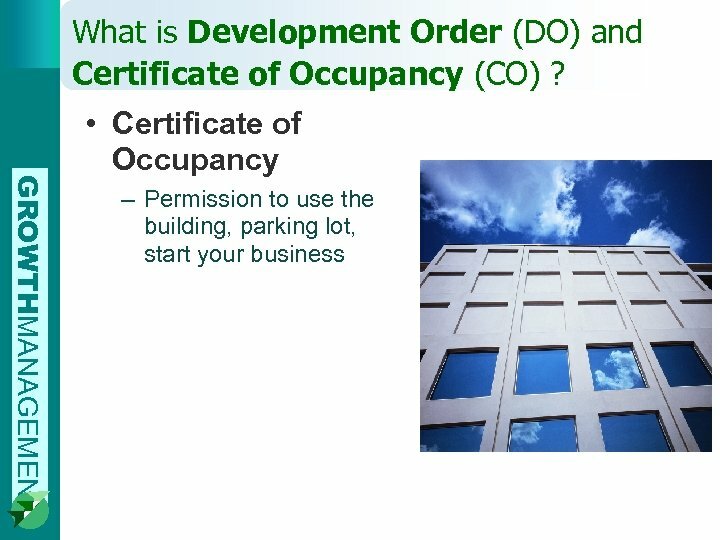 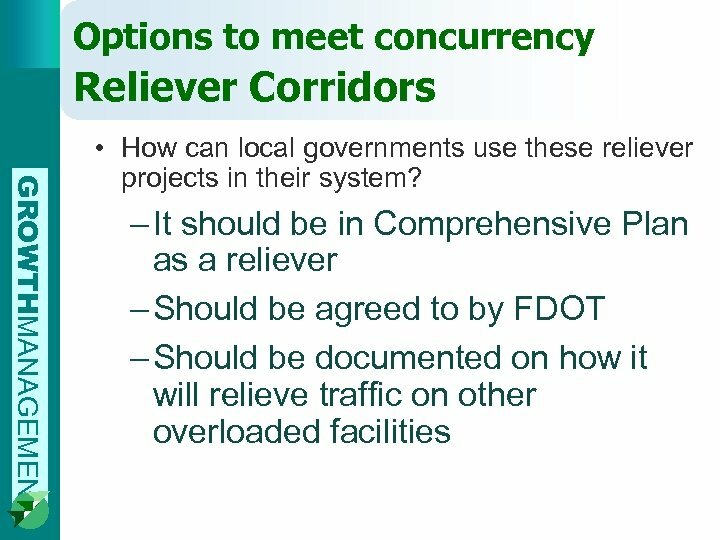 The Strategic Intermodal System (SIS) GROWTHMANAGEMENT • Mitigation for development impacts to facilities on the Strategic Intermodal System made pursuant to this subsection requires the concurrence of the Department of Transportation. 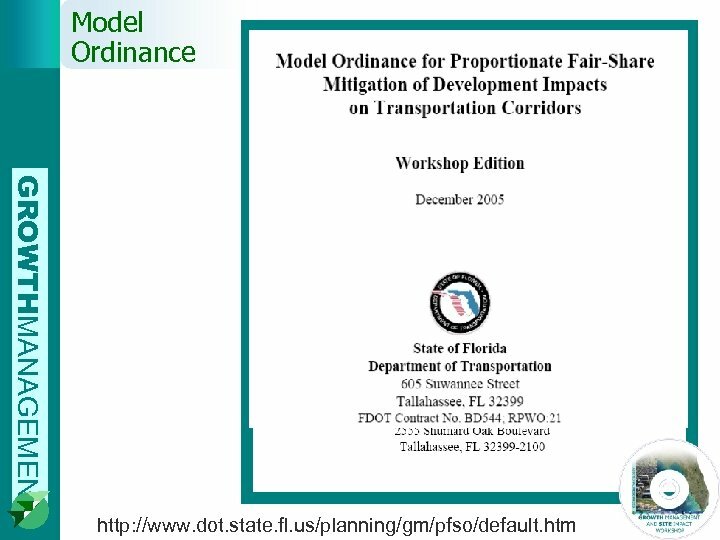 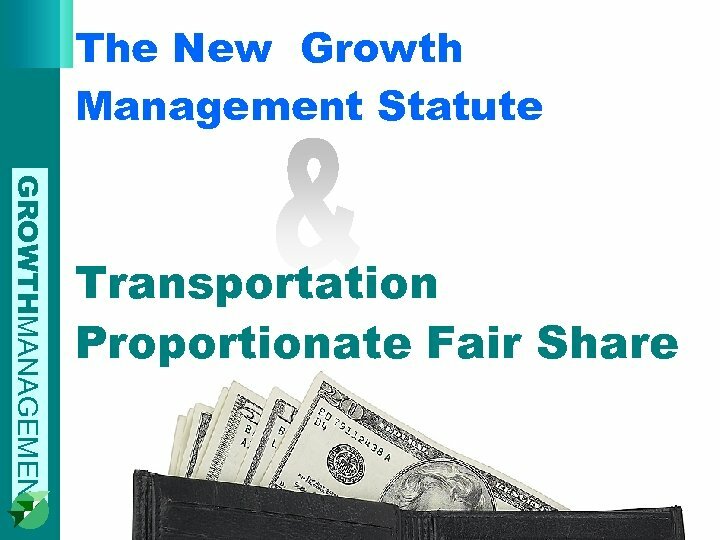 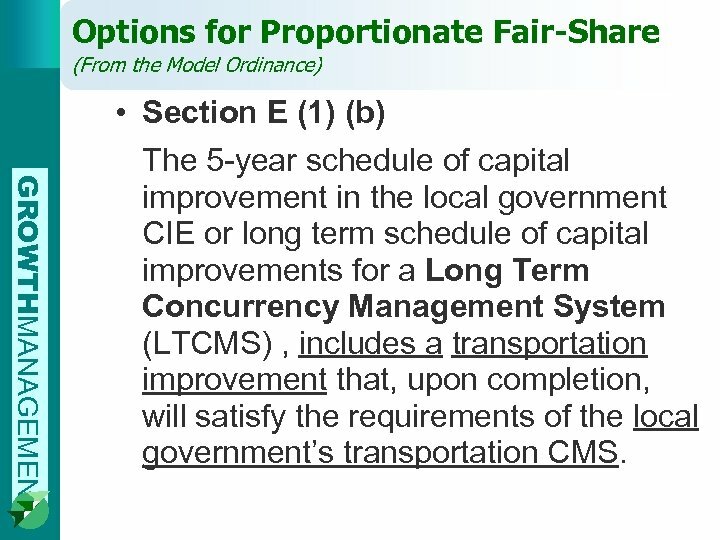 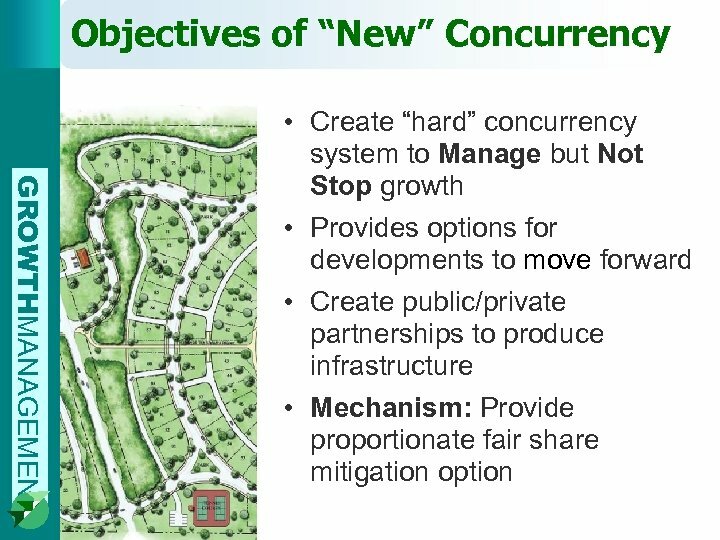 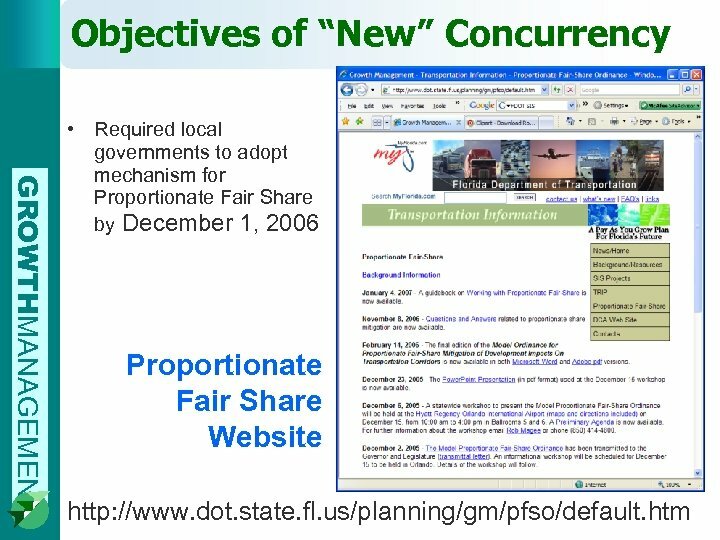 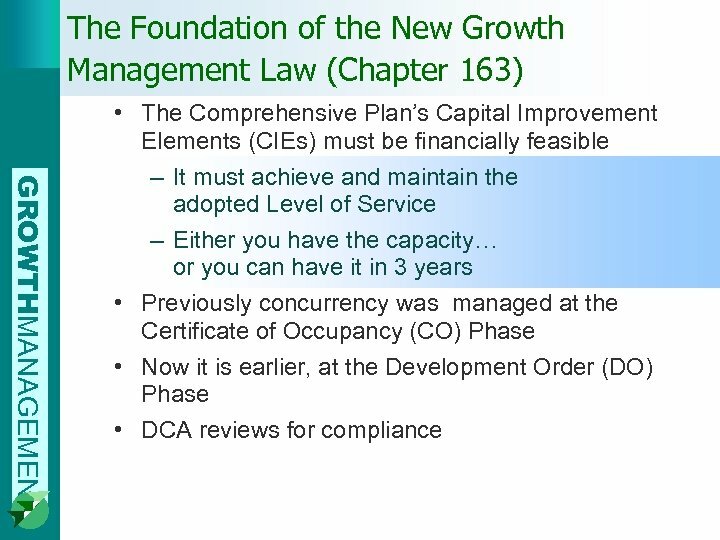 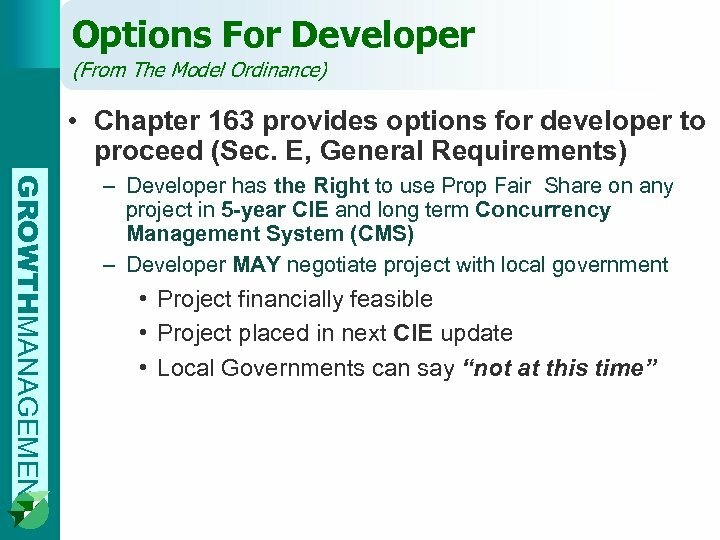 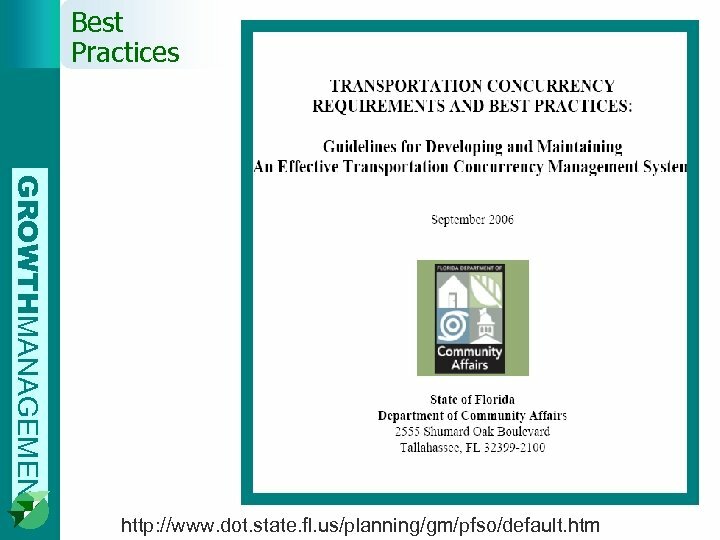 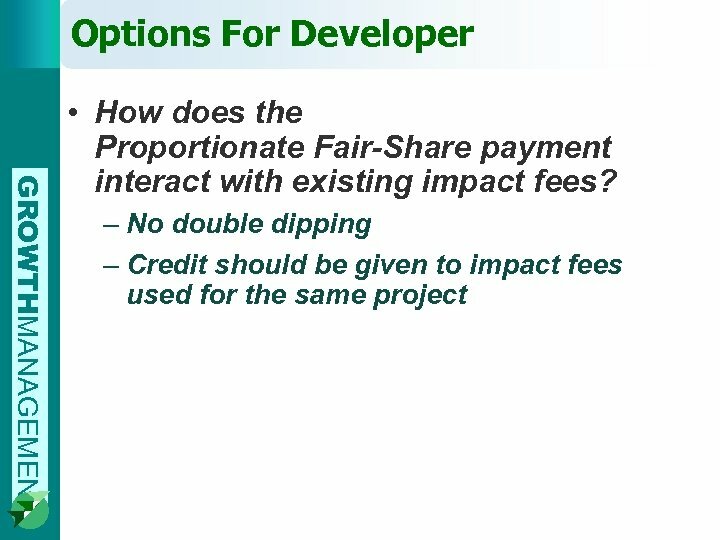 Options for Proportionate Fair-Share (From the Model Ordinance) GROWTHMANAGEMENT • Section E (1) (b) The 5 -year schedule of capital improvement in the local government CIE or long term schedule of capital improvements for a Long Term Concurrency Management System (LTCMS) , includes a transportation improvement that, upon completion, will satisfy the requirements of the local government’s transportation CMS.